The second in the Open 5 series was a long way south for me. Luckily, it wasn’t far from my mum’s house so I combined it with a birthday weekend visit. Leaving on Thursday also gave me two chances to catch up on some sleep before the race! We drove over to Shropshire on Saturday. 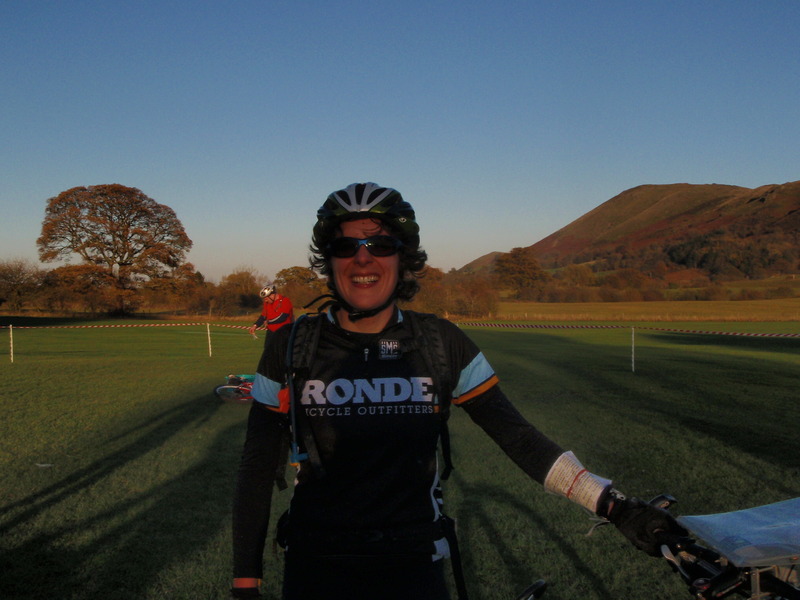 My mum went and shot arrows at a target; I went and rode over the Long Mynd and back. I stopped on the way to digest the mountain biking information board in great detail – which proved useful as it indicated which tracks could be ridden up, and which were only really sensible in a downwards direction! I was getting nervous before the race but I remembered Andy saying ‘I would be worried if you weren’t …’. I picked up the map nice and early and headed back to the B&B to do some serious planning. I thought the biking would be fast as it wasn’t too technical and the course looked straightforward. This almost made me change my strategy and bike first, but I resisted, and not just because I am scared to change my ways :-). 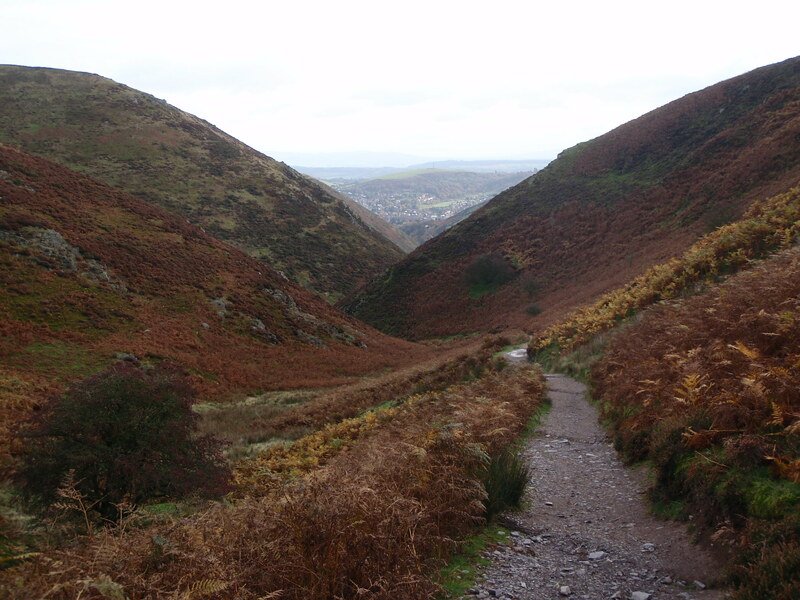 It was also because the run would be committing – you had to get up onto Long Mynd, spend some time on the top and then run back off – no short cuts or easy loops to miss out! On the other hand, although the bike section had many high scoring controls, it also had a number of out-and-backs off the spine of Long Mynd which I could easily omit if I was in a hurry. I set off only just before the latest start – after a last minute panic when I found I needed to be carrying a windproof! (must have missed that bit of information somewhere). Waterproof hastily jammed in my bum bag I set off running. I made a slight wrong turn after the first control when I nearly went the ‘wrong way round’ my yellow highlighted route. To be honest, my whole running map was covered in yellow – a sign that I couldn’t decide which way to go when I was planning – so it was no wonder I got confused! Luckily, I realised before it was too late and got going up the right bit of hill. One of the controls was quite difficult to get to – I had to clamber over a load of rocks to get to the control box hanging from a tree root by a waterfall. I was glad I had switched back to some grippier shoes! I emerged at the top of the hill somewhere unexpected, but in a better position than I was aiming for – it’s fantastic when random unmarked tracks lead you where you want to go! Now I was on the ridge and remembered my pledge to Andreas (my new secret training weapon). It was time to go fast! So I did, catching up someone in front and trying to hold off the guy behind. Shame my hip pack was too heavy and was really annoying me bouncing up and down. I guzzled the water and ate a banana to reduce the weight. The controls at the top were worth fewer points, so I was trying to balance how long I spent collecting some of these, whilst leaving enough time for the good mountain biking stuff. Heading back down the hill to pick up some more high value controls I lost time finding a tree which was a bit “off piste”. I was starting to feel tired but took advantage of a path leading through the woods that popped out at the site of the previous night’s bonfire – so I knew my way back from there! I got back to transition after 2h15m – a little later than planned. My transition was slow as I had to swap my coat over to the other bag and I just didn’t seem as focussed as usual. This carried on into the first two bike checkpoints. I rode past the first one, thinking I had seen the control (it was just some other random red and white stuff on a telegraph pole) and with my nose in the map. Then I got tangled up with some other racers who were distracting me from navigating in my own way. I decided at the next checkpoint to leave them, turn around and ride back down to the road, hoping it would be a bit quicker. It felt like a long slow climb after that, but I started to perk up as I got to the grassy drag and started overtaking other racers. With my ‘race head’ back on again, I sped up, pedalled down as well as up the hills, looked the cow in the eye as I crossed its bridge and really felt better when I was finally back on the top of Long Mynd, just popping on and off the ridge until I ran out of time. I was playing yo-yo with a male pair, which incentivised me to keep up the pace. And despite running out of water with an hour to go (again) I didn’t hit the wall like I did last time. The weather was glorious and the views fantastic. 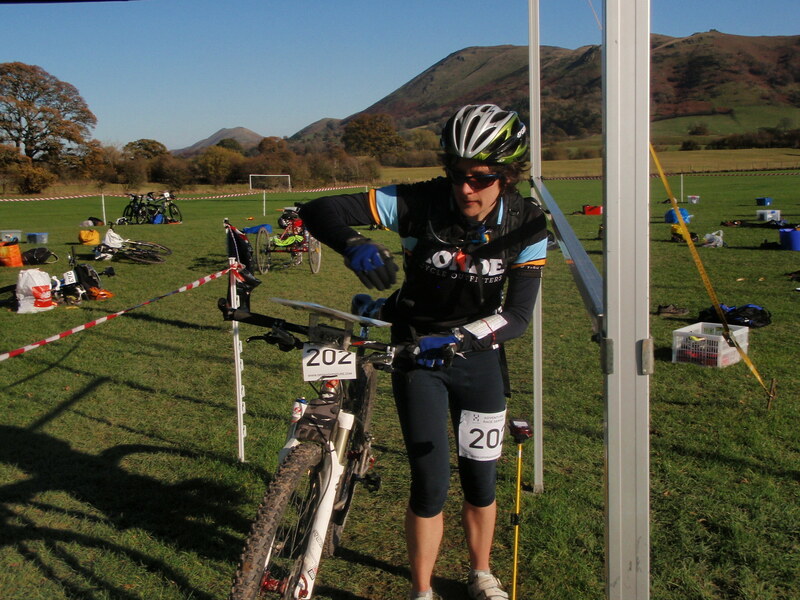 😀 I sadly had to miss out on the last checkpoint I wanted – if I’d eliminated the odd mistake and little dither over the course of the race, I might just have had time for it. But things are never perfect! As it was, I was racing down a fast grassy descent for the final road run-in to the finish. I was lucky to meet up with another racer here who I drafted as we rode back into the headwind. He was late – I was hanging on at my limit – but I didn’t feel too bad for not doing any turns at the front as I had helped him find the last checkpoint and navigated him through a little village on the way home! Wonders never cease, and I was actually back in time – with a whole 1 minute and 49 seconds to spare. I was very happy with my much improved running – 18km this time compared to 10.5km a month ago and travelling 2 minutes per km quicker! Results time, and it turned out I had got first place with a score that compared well to the general field – only beaten by 1 mixed pair, 11 male solos and 4 male pairs. 140 teams or solos were there altogether, so this was another popular event. The planning was perfectly judged, with the first male solo (Stuart Lynch) just clearing the whole course. It was great having my mum there supporting me, driving me around and taking photos! Next time we will be back nearer home in Lancashire (these things are all relative). 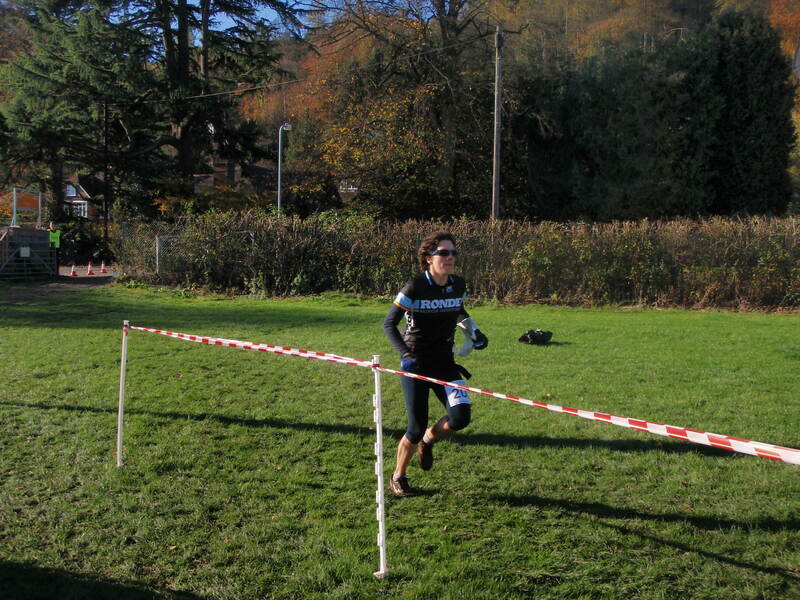 It will be a different experience for me as I’m going to be introducing Marie to the joys of adventure racing. I met Marie at the Big Ben Nevis Triathlon and am looking forward to heading out with someone new and sharing what I’ve learnt and love!